Just for a moment, imagine that you are a queen. The queen of Spain, perhaps. You follow a line of legendary rulers, but that's not what you are remembered for. All you get is "the Mad" attached to the back of your name. You are known for having supposedly gone insane after your husband dies and being locked away in a castle for some fifty years. Not much of a fairy tale, right? This is precisely what happened to Juana of Castile, the daughter of Ferdinand and Isabella in the late 15th and early 16th centuries. When Juana's mother and older siblings eventually die, she is left as Queen of Castile. 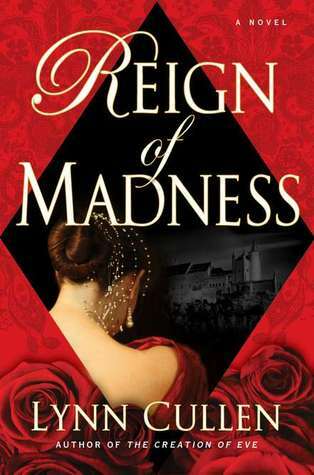 Both her father and husband, greedy for power, betray her and spread the rumor that she is insane. Juana is locked away for the rest of her life. She is still known as the Queen, but she has no power, duties, or importance. While we don't get to read about much of her imprisonment, this is not the important part. Lynn Cullen, along with most historians, disagrees with the title 'Juana the Mad' and simply attribute it to the Juana's manipulation by the men in her life. Cullen tries to convey to us a young Juana who was stabbed in the back by those she should have trusted most. Overall, the book well represents customs at court, the politics of the day, and the life of this often forgotten and tragic queen. A definite pick-up for historical fiction lovers! Once again, thanks to the lovely folks at TLC Books tours, one of you now has the chance to win a copy of Reign of Madness! US/Canada residents only, please. Enter here, you have until August 10th! Sounds interesting! Thanks for posting. I loved this book -- it was such a compelling portrait of a woman really trapped by power! Thank you for the great review, Kelly! I enjoyed how you began, "Just for a moment, imagine that you are a queen...."
I would love to read Juana's fascinating story. We may romanticize what it's like to lead a royal life but, obviously, it's not always a bed of roses! Thank you for the giveaway! I've read other books about Juana and I'm fascinated by her ... sounds like I'd better pick this one up as well! I've never heard of this queen so how fascinating! That's exactly why I love historical fiction. I'll have to check this one out.